Considering digital signage for your business? Check out how the quickly-rising advertising and information platform transformed these four businesses. Digital signage is a powerful medium in the business world. The new-age way of displaying information — anything from advertising to facts and figures — allows for heightened consumer engagement and is known for boosting sales figures. However, these are all just words, aren’t they? Glowing words, but words nevertheless. For business owners seeking to make changes and improve profitability, words mean nothing. That’s why we’ve created this blog; a blog that looks at real success stories in the digital signage world. Success stories to inspire. Fast food giant McDonald’s was one of the first companies to take advantage of the digital signage boom. No surprise really; how else do big corporations stay at the top other than by taking advantage of new innovations? Across the UK, McDonald’s has been rolling out digital display systems, both to advertise food and offer interactivity with consumers. The impact has been overwhelmingly positive. Stores have seen a marked increase in sales of up to 11% for some products — impressive for a food chain already incredibly popular and embedded in pop culture. Smaller restaurants are experiencing the biggest increase in revenue, thanks to the digital signage now offering versatile advertising platforms that have resulted in customers being introduced to more options. Previously, small stores lacked the space to display all products on offer. What’s your preferred method of selecting dinner? Prime Burger, a chain in London, put this idea to the test. The restaurant owners invested in digital signage screens to display their menu boards, complete with high-quality images and animations. The response was immense. Sales increased by 50% for the burger outlet, with customers proving incredibly responsive to the new advertising technique. The vibrant imagery and true-to-life displays have shown to be irresistible to customers. 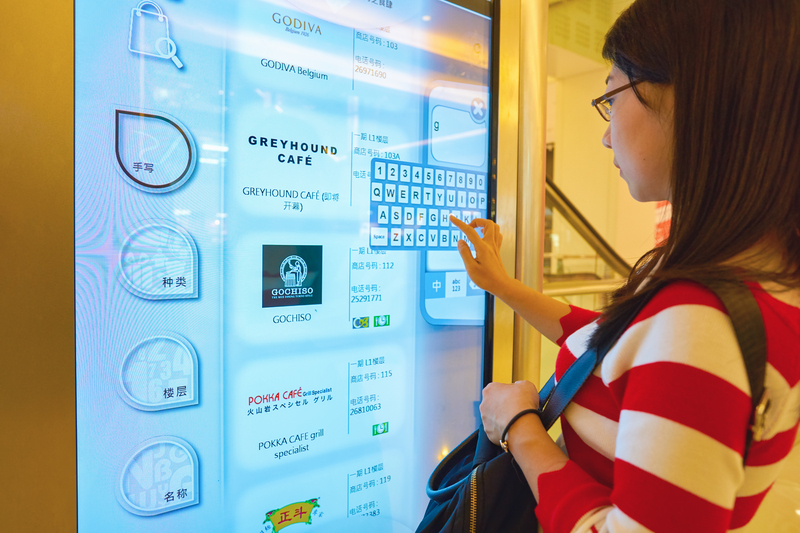 Digital signage isn’t all about boosting sales; it is also about streamlining and modernising business. This is exactly what the Hyatt Regency hotel in Chicago was looking to do. The hotel is a popular choice for conferences, meetings and expos, but it faced a problem. The methods used for communicating with visitors about such events — changes, directions, cancellations, etc — was costly, inefficient and outdated. The hotel needed a solution to keep operations smooth. Their solution was to invest in digital signage displays around the hotel. These displays offered information about events to visitors, allowing them to find out about things such as room changes, time schedules and more. This meant staff of the hotel weren’t left to solve all problems that arose and visitors had easy access to information. The system proved highly successful, with increased efficiency for the hotel’s workflow and a rise in happy visitors. The screens also served a secondary purpose: advertising services and rooms to visitors who were only in the complex to attend meetings, resulting in an additional revenue generator. Over to the USA now and an ambitious project in the state of South Dakota. The Crazy Horse Memorial is to be the world’s largest mountain carving, dedicated to the legendary Native American of the same name. A major tourist attraction for the region, the owners of the memorial decided they wanted to increase visitor engagement and impart more of the history behind the sculpture. They had found previous, old-fashioned signs to be ineffective at holding visitor attention and turned to digital signage for an answer. The interactive nature of the digital signage provided excellent opportunities to engage visitors, while the diverse way in which information can be shown — text, audio and video — meant that the owners of the memorial had numerous platforms to help educate and inform their patrons. Following the inclusion of digital signage to the memorial, visitor engagement grew by 30%, with 80% of visitors saying they enjoyed their visit. Ready to boost your business with digital signage? Netcom92 provides expert installation and setup of this powerful new technology.